Whether you live in a 500 square foot apartment or a 5,000 square foot home, air conditioning and heating - often called a home comfort system - can improve the well being and quality of your life. Like its name implies, a central air conditioner works from a central location to distribute conditioned air throughout your house or building. What’s the difference between a home comfort system and a window or wall-mounted air conditioner? 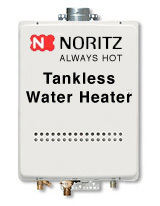 Window- or wall-mounted room air conditioners or portable heaters are designed to work in small areas. A central air conditioner and heater works with a forced air furnace or heat pump to deliver whole-building comfort. 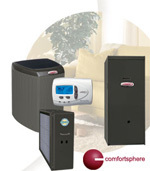 From basic, energy-saving models to sophisticated, technology-based systems, there are a wide variety of home comfort systems to choose from. Heating and cooling system installation requirements differ depending on the type of your home or building. Some homes were designed for split systems, with the air conditioner or heat pump outside and the furnace or air handler with cooling coil inside. While other homes were built to accommodate a single package unit outside the house, with only the ductwork and supply/returns inside. The decisions you make about heating, ventilation and air conditioning - or HVAC - in your home or business directly affect your monthly energy usage and utility bills, as well as your health. Throughout this site, you’ll learn more about the costs and benefits of a new home comfort system vs. an older system, find valuable information about air filters and air purifiers, gather tips on air conditioning maintenance and installation, and learn what to look for in choosing a company to install your home comfort system. Click here to contact a local, licensed and reliable HVAC contractor in your area.